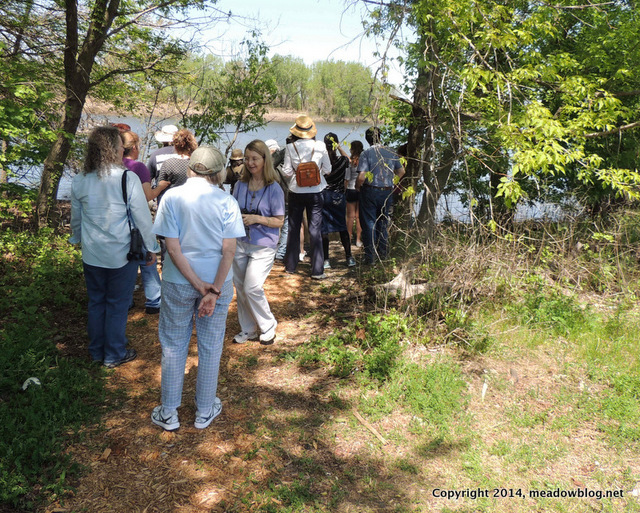 Our next free guided walk is Tuesday, May 20, at 10 a.m. at Mill Creek Marsh in Secaucus. 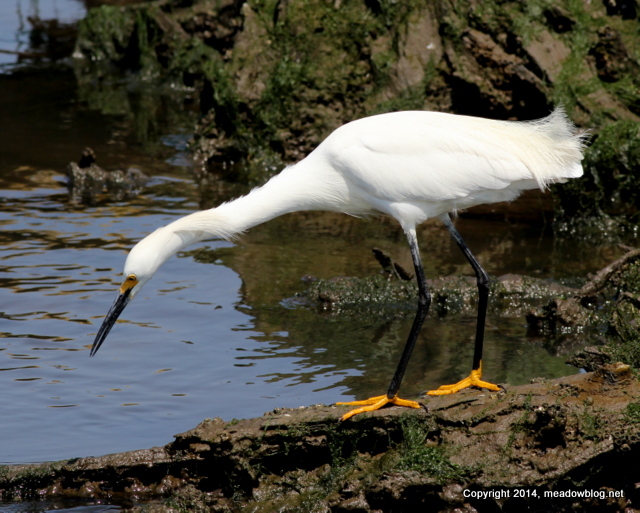 The photo of the Snowy Egret above was taken on last year’s May MCM walk. 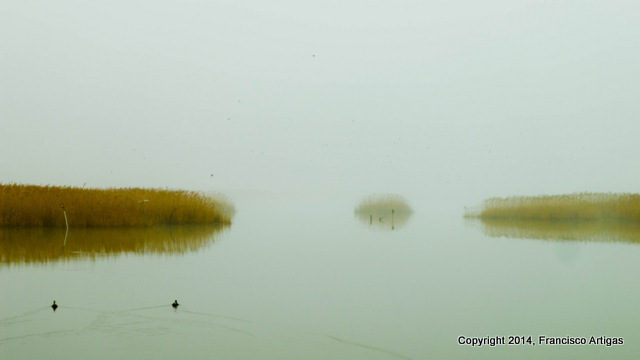 For a list of birds seen on that walk, click here. 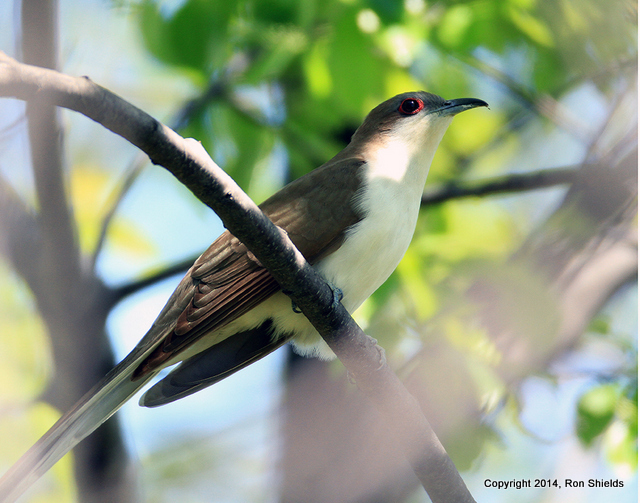 I photographed two Black-billed Cuckoos in back of Gunnell Oval on Sunday morning. One was sharing tent caterpillars with the other. (Thanks, Ron! The Sixth Annual Mother’s Day Bird Walk in Ridgefield turned out great — fine weather and a strong turnout by both people and birds. 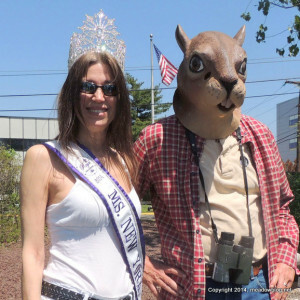 Highlights included appearances by Redstarts, Rose-breasted Grosbeaks, Ovenbirds, Ms. New York (you can’t make this stuff up), and a giant squirrel. The Record’s coverage of the event is here. Bird pix from yesterday’s walk are here. 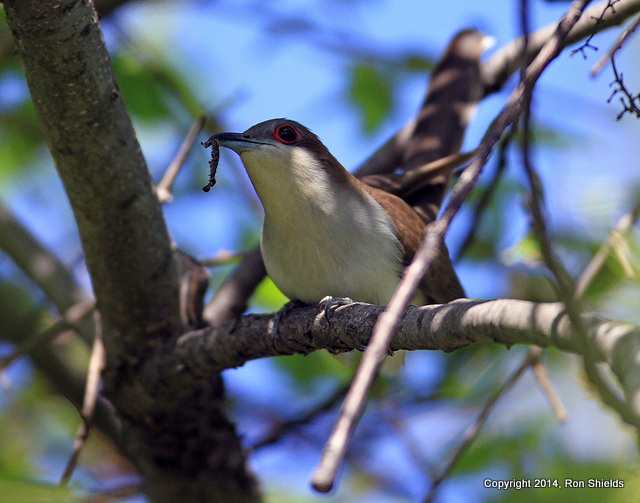 Francisco Artigas of the Meadowlands Environmental Research Institute shared this recent photo.